Email confirmation will be sent to the addresses that are listed above. find your store location on Google Maps, then copy and paste the URL into the text area below. required to begin order process. 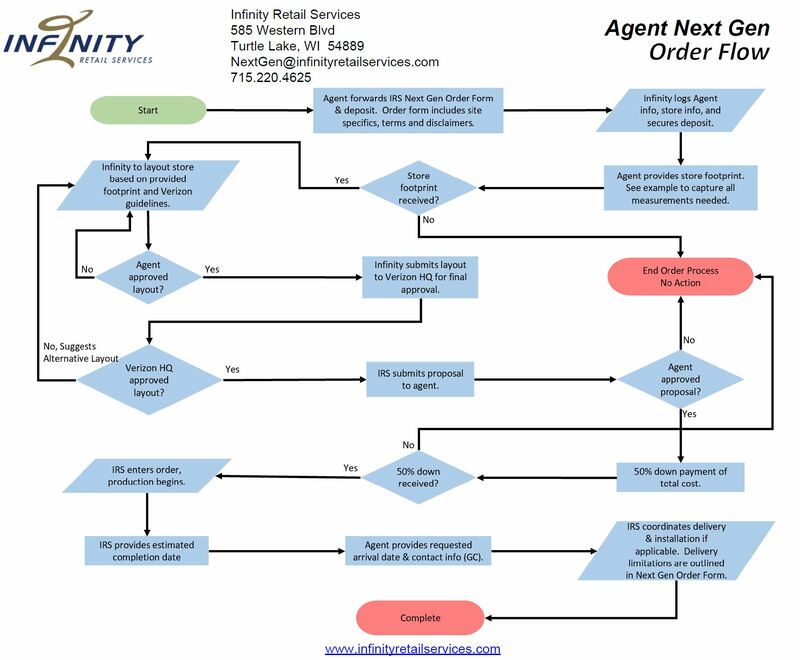 Infinity Retail Services is not liable for any additionally incurred expenses from inaccurate footprint supplied by Agent. Inaccurate store footprints may incur additional fixture costs and installation costs. C. Total balance is due prior to ship date. I have read, and accept, the terms outline within this form. Please submit completed form by clicking the email address below.